Luna when animal control first picked her up from the street in early November. Animal control was planning on putting her to sleep until we intervened and took her in. 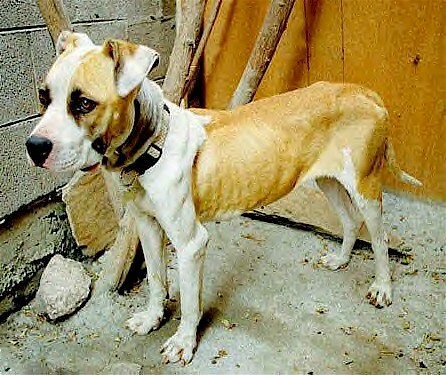 As you can see, she was extremely emaciated, but now she's as fat and happy as can be!